Last week Mick Dawson attended Scarborough College’s Prize Giving and, as part of the ceremony, gave a speech to staff, parents and teachers about his ocean rowing adventures. Mick is passionate about inspiring the next generation of adventurers and encouraging children of all backgrounds to push themselves to be the very best they can. Mick received some great feedback from the college, with his speech going down really well with his audience. 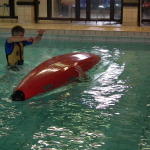 Steve and Mick have just returned from first training weekend at Plas Menai in Wales (www.plasmenai.co.uk). 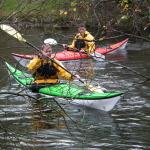 Plas Menai is the National Outdoor Centre for Wales, offering outdoor activities, sailing courses, powerboating, windsurfing and, of course, kayaking. 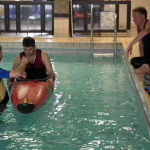 The centre is an amazing training venue with challenging conditions and locations to deal with – perfect for the Cockleshell Endeavour. The boys were trained by Huw Jones who Mick and Steve described as “a top bloke”. As a result of the training, Mick and Steve are starting to get a real feel for the work required to safely attempt something like the Falklands trip and are confident they will both make the grade. A big thanks has to go out to Steve’s brother Tony who spent the weekend with the boys at Plas Menai to get some great photographs of the training sessions. Some of the images are below and more can be seen at www.facebook.com/cockleshellendeavour. 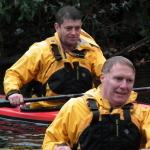 Five years to the day that I successfully rowed across the Pacific, I am pleased to announce that I am embarking on a new challenge, this time alongside fellow Former Royal Marine and Falkland’s veteran, Steve Grenham. It will be known as the Cockleshell Endeavour. In spring 2016 we will be kayaking 650 miles around the gruelling coastline of the Falkland Islands. 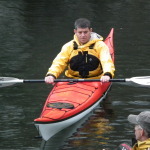 Although I have some great experiences in ocean rowing, having rowed both the Atlantic and the North Pacific oceans, I am a novice kayaker, as is Steve. Therefore over the next 16 months we will be undertaking a number of increasingly difficult challenges to prepare us. 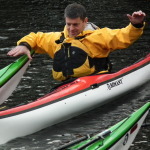 These will start in April 2015 when we aim to take part in the Devizes to Westminster kayak / canoe race, followed by competing in the Yukon Great River Quest in June, then moving on to a circumnavigation of The Isle of Mann and a circumnavigation of Ireland. 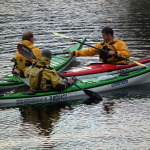 Not only is this a physical challenge for us both but will also be using the Cockleshell Endeavour to explore the issue of Post-Traumatic Stress Disorder, a condition Steve has suffered with following action in the Falkland war and tours of Northern Ireland. He is currently undergoing full diagnosis and treatment for this condition. The next 18 months will give us the opportunity to help Steve and explore the wider implications of PTSD in the armed services, its treatment and possible long term consequences for the current generation of service personnel emerging from over a decade of conflict in Afghanistan and Iraq. This is an issue described as a, ‘potential time bomb ticking away in our communities’ by the medical community. We will be fundraising for a number of charities as part of the Cockleshell Endeavour and we intend to announce who those charities will be shortly. They will most certainly be charities that support military personnel, past and present, especially those suffering from PTSD. 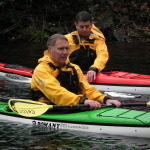 Steve and I are now looking for your support to help us achieve our goal of kayaking around the Falklands and raising awareness for the issues of PTSD. We would like to ask you to share the news of the Cockleshell Endeavour, show support through donations to our chosen charities and, if you can, work with us as sponsors for the endeavour, ensuring this project is a complete success. Most of all I hope you enjoy following another worthwhile and exciting ocean adventure.